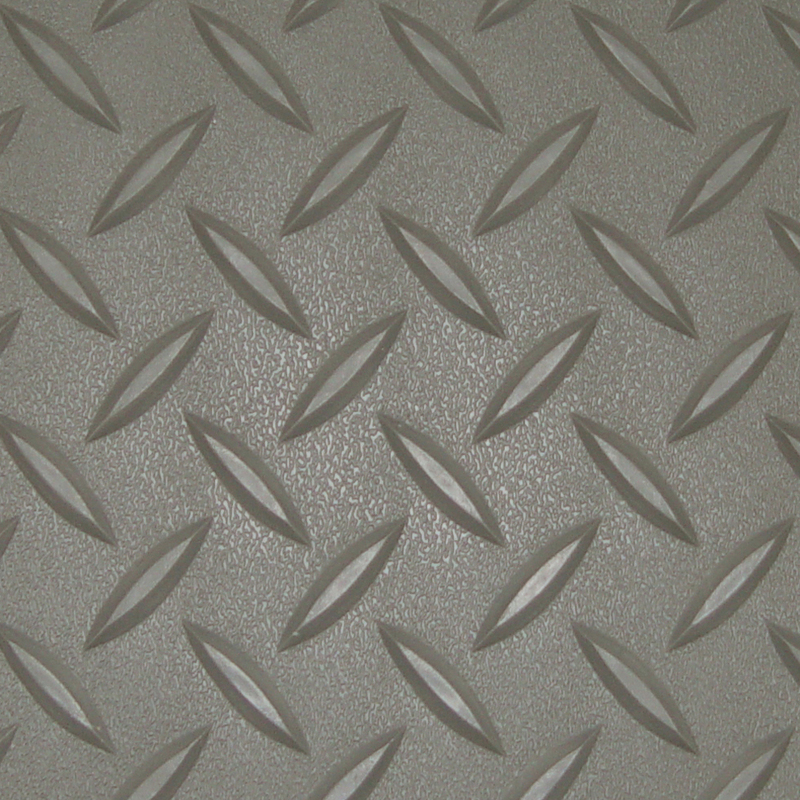 RoughTex Diamond Deck® roll out flooring protects your floor, while giving it that stylish rugged look. Simply roll out and you're done. Can be easily cut to any size, with a utility knife or scissors. 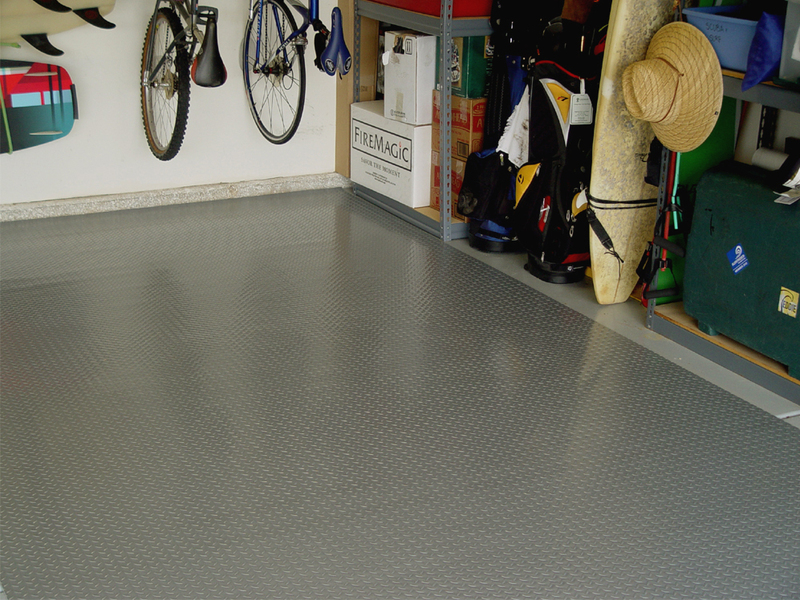 Use as a parking pad or cover the entire garage floor. Resists oil, gasoline, brake fluid and antifreeze. 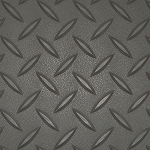 RoughTex Diamond Deck® is unaffected by battery acid, making it the ideal golf cart mat. Great for workshops, basements, trailers, laundry rooms, mud rooms, bathrooms, motorhomes and camping. 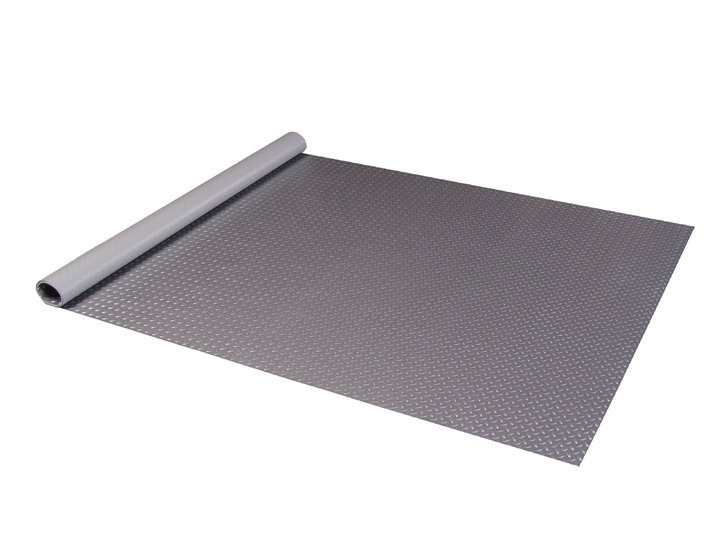 Perfect whether you need a temporary or a permanent flooring solution, that is tough, waterproof, durable and easy to install. 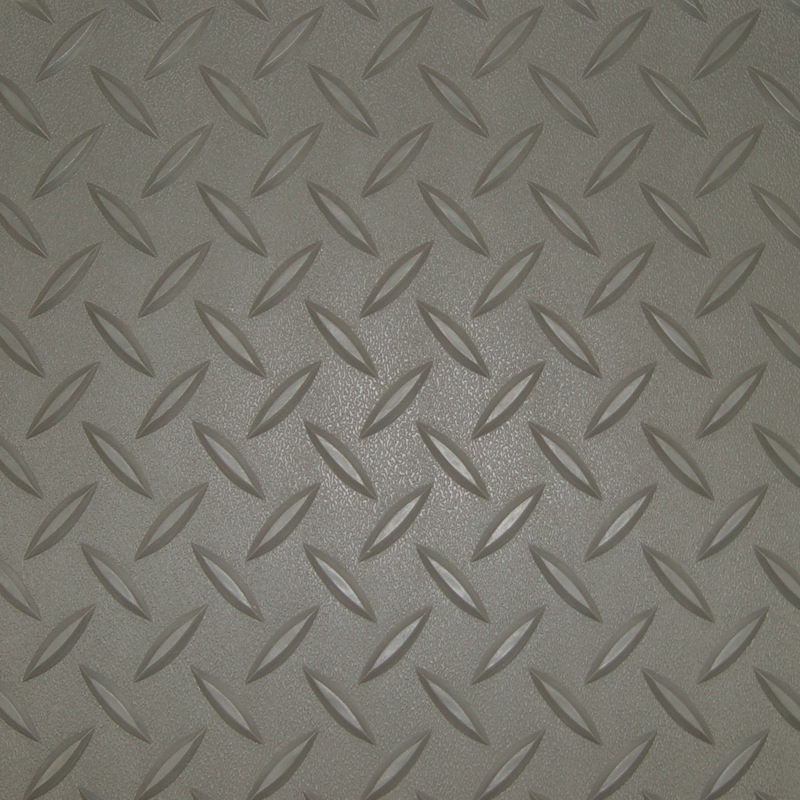 Seams can be permanently sealed together, making them waterproof, with our vinyl backer and Oatey X-15 Vinyl Adhesive. Please Note: Caution must be used when working with chemicals. It is recommended that if a chemical spills or drips on your RoughTex Diamond Deck® it is cleaned up as soon as possible. Since harsh cleaners and solvent based chemicals, such as acetone and nail polish remover can mar the finish, only mild household cleaners should be used. Always test cleaners in an inconspicuous area before using. Installation Options: 1. Just roll out and you are done. 2. 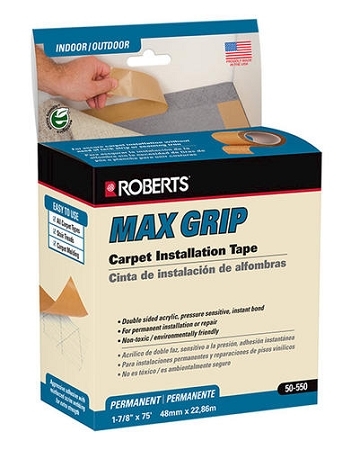 Stick to floor using Max Grip Carpet Tape. 3. 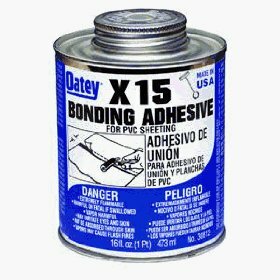 Glue seams together with Oatey X-15 Adhesive or similar adhesive available at your local hardware store and our Vinyl Backer. 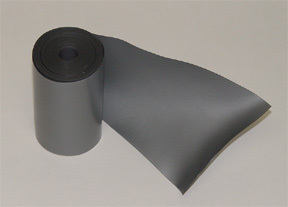 (One 16 oz can of adhesive is enough to complete two 24' seams) Makes a water proof seal. Vinyl Backer, 24' X 4"
4. Permanently glue to floor using Epoxy. Copyright Auto Care Products, Inc.. All Rights Reserved. eCommerce Software by 3dcart.